We had the pleasure of spending an afternoon with George Waweru Nyaga, a dairy trader from Kigongo Village near Kibichoi Town in Kiambu County, Kenya. 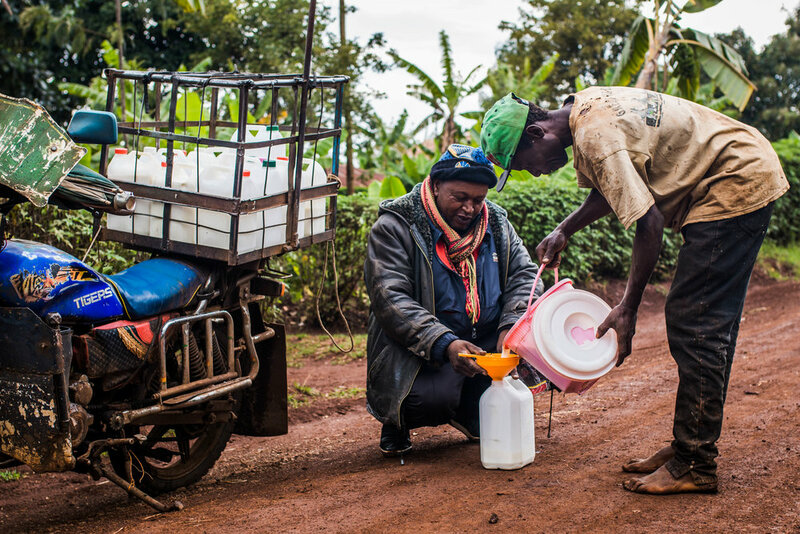 George has been a dairy trader for 7 years and has a network of 43 smallholder farmers whom he collects milk from twice per day. 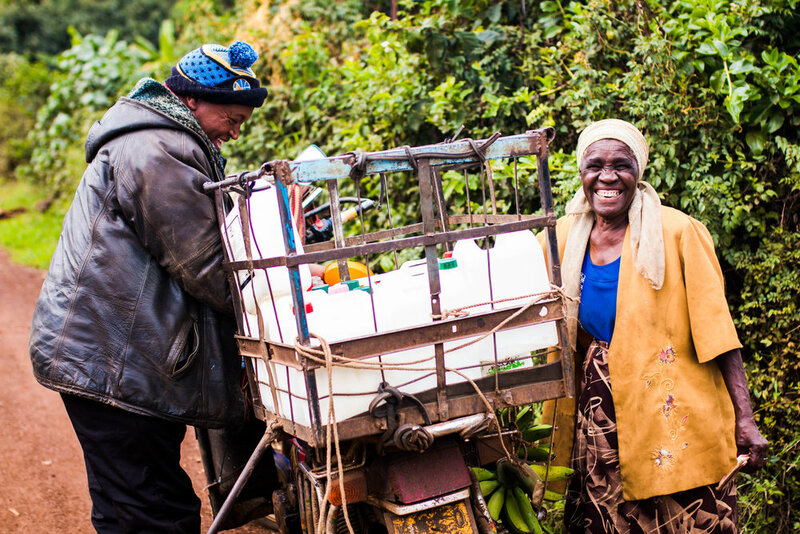 He provides greater access to market for smallholders by delivering and selling their milk to larger towns. George is excited by the prospects of LishaBora's business management mobile application to track his finances, grow his business, and increase milk yields by selling LishaBora's high quality Jawabu dairy meal. LB: Tell us about a typical day? George: I wake up at 5AM and prepare myself. My morning collection route begins at 5:45AM and takes about 2 hours to complete. At 8AM, I start my journey to Githurai Town to go and sell the smallholder farmers milk there. I return back to my home in Kigongo Village between 10-11AM. After resting for 1 hour, I clean the jerry cans which I use to hold the milk. My afternoon milk collection run begins at 2:45PM for another 2 hours. Around 5PM I travel to Ruiru town to go and sell the milk there. I sell to other traders, some use the milk for their homes, and others use it for their hotels [restaurants]. My day finishes around 7:30-8:00PM. LB: Why do you like using the LishaBora business management mobile application? George: The app is good because it keeps records for me. Now I don't need to worry about losing paper records and at any time I have an overview of the milk I have collected, the debts I owe to farmers and the loans I have given to farmers. It makes it easier to pay farmers because you have a breakdown of all costs. LB: What is the biggest challenge you see with the informal dairy sector? George: The biggest challenge I see is with the smallholder dairy farmers. When they have little milk yields, they may add water to increase their net yield, but since I've started using LishaBora Jawabu Dairy meal, their milk yields have increased and I have no such problems anymore. The second challenge is the difficulty of obtaining a dairy trading license. They don't make the cost of obtaining a license proportional to our earnings, and I don't know why. LB: Why do you like working with LishaBora? George: I believe LishaBora can help us obtain the dairy trading license by working with dairy cooperatives in the informal sector. As well, since the farmers have started using LishaBora cow feeds (Jawabu Standard and Premium Dairy Meal), and have learned how to store Napier grass for silage from LishaBora's training sessions, it has increased the milk yield of farmers. This means I can have more milk with less farmers. Takeaway #1: Dairy traders like George Nyaga are pivotal in the informal dairy sector which makes up almost 80% of the entire dairy industry in Kenya! There are over 2 million smallholder farmers in this sector who lack access to formal markets. Traders like George provide the access for these farmers to make a living off their milk production. Takeaway #2: LishaBora’s business management mobile application provides a simple way for dairy traders to track their daily milk collections, payments owed to smallholders and debts incurred by smallholders from the micro-loans frequently given out in these rural settlements. By automatically adding up net balances, it frees up time and ensures that there are no errors made which could lead to reduction in profits for smallholders and traders alike. 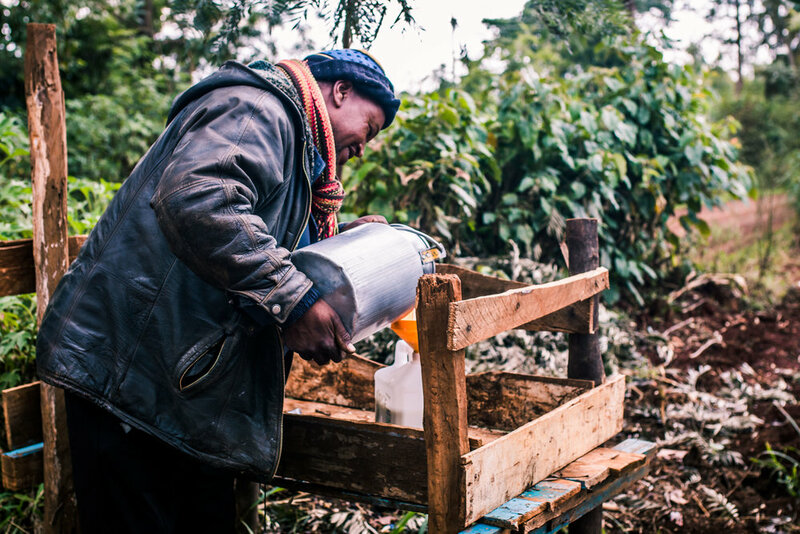 Takeaway #3: By partnering with LishaBora, entire communities are impacted by the increase in milk production. LishaBora provides higher quality dairy meal for cows and quarterly best farming practices training sessions for every smallholder farmer connected to the dairy traders using our mobile application. Now that you have some insight into the informal dairy Trading business of Kenya, we want to hear from you! Do you have any pending questions regarding the informal dairy sector? Leave your comments on our blog post below!